Will Osborne sell out “greenest government ever” in Budget? Dominic Browne catalogues the recent spate of government failures and half measures that undermine their stated aim of becoming the "greenest government ever". 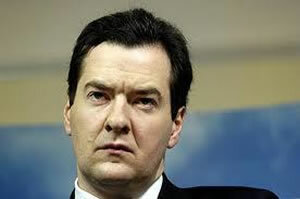 George Osborne today trailed his intention to scrap Labour’s plan to raise tax on air travel in Wednesday’s Budget. The tax could have raised an estimated £140 million. Saving a family 16 or 36 pounds on a long distance holiday seems an odd priority for a government which aims to become “the greenest ever“. Not to mention one so desperate to reduce the deficit. Only this weekend David Cameron, speaking on YouTube in support of Saturday’s “Earth Hour” – a campaign for people to switch off lights for 60 minutes – reiterated his aim to make this the “greenest government ever”. The prime minister may be willing to support such voluntary actions with warm words but often the only policy “nudge” his government gives is away from a sustainable and green UK. • The government’s much vaunted Green Investment Bank is being undermined by infighting and under investment. • Boris Johnson last week attacked the government, hoping to change the one firm green commitment they appear to have made – refusing to sanction the building of new runways in the south of England. Mr Mouse, other than scrapping Runway 3 and canceling road projects by accident, what has this government done that is green? Mr.Sensible – hahahaha – but Labour didn’t do those things. Labour didn’t make the claim to to be the “greenest government ever”. This is what its yielded (not)so far. 29 June: The government’s Green Investment Bank Commission predicts that £550bn of investment will be needed to meet Britain’s renewable energy targets under the Climate Change Act, and recommends the establishment of a Green Investment Bank to meet the challenge by providing finance for clean-power stations, windfarms and smart grids. Experts agree on a fundamental principle: to be capable of kick-starting private-sector investment in potentially risky renewable projects, the GIB must have the ability to issue government-backed “green bonds” to raise money. This kicks off a feud between the bank’s backers – led by Chris Huhne – and the Treasury, in which there could only ever be one winner. 16 July: The Department of Energy and Climate Change (DECC) announces a £34m cut to its low-carbon technology programme, including a £12m cut to the Carbon Trust, which provides funding to sustainable technology and businesses. 22 July: The Sustainable Development Commission is axed on the day of the first great quango cull. Environmentalists question the value of the move: the £3m per year it cost to run the SDC was a negligible saving, far outweighed by the estimated £70m the SDC saved the taxpayer annually by recommending green efficiency savings. Caroline Spelman, Secretary of State at the Department for Environment, Food and Rural Affairs (Defra), says the decision was an easy one: because she is “personally dedicated to driving the sustainability agenda across government”, there is no longer any need for external agencies. 20 September: Two election pledges are struck from the list of things that the coalition might bring itself to do something about. The government will not carry out its proposal to make it an offence to possess illegally felled timber or to bring it into the country; nor will it extend the subsidy for small-scale solar production under the Feed-In Tariff. 20 October (the Spending Review): This is the point where it really starts to look bad for the greenest government ever, as George Osborne’s axe falls hard on environmental spending. The review includes proposals to sell off national nature reserves, privatise parts of the Forestry Commission and sell off the Met Office (which has contributed as much as any organisation to the public understanding of climate change). The review cuts Defra’s budget by 30 per cent, compared to a government average of 19 per cent, equating to efficiency savings of £700m by end of the four-year review period. Chris Huhne’s tiny DECC gets away with an 18 per cent cut. The Environment Agency will shed 5,000-8,000 out of 30,000 jobs, while Natural England’s budget is cut by 30 per cent – about 800 full-time jobs. Flood defence spending will be cut by 27 per cent (though citizens of the “big society” are pleased to learn that they will be allowed to pitch in themselves). Confusion about the GIB: Clegg writes to his party members telling them that £2bn has been set aside, but Osborne says £1bn. 21 October: Huhne tells the Guardian that the government may sell off one-third of Urenco, a company that makes enriched uranium for nuclear power – and that the money raised may fund the GIB. £1bn probably isn’t enough for a proper bank, but still – better than nothing. 19 November: Chris Huhne’s frustrations in pursuit of his bank spill over into an open attack on the Treasury. He compares its obdurate opposition to the bank with the mistakes that led to the Great Depression. 15 December: The Treasury gets its wish: there will be no GIB. Huhne acknowledges that the “bank” will in fact be merely a green fund, and is also forced humiliatingly into repudiating his principles, saying that sustainability must not take precedence over cutting the deficit. The £550bn Britain needs to meet its emissions targets will have to come from somewhere else.